I have always been vocal about my love for the sun, surf, and the sand. 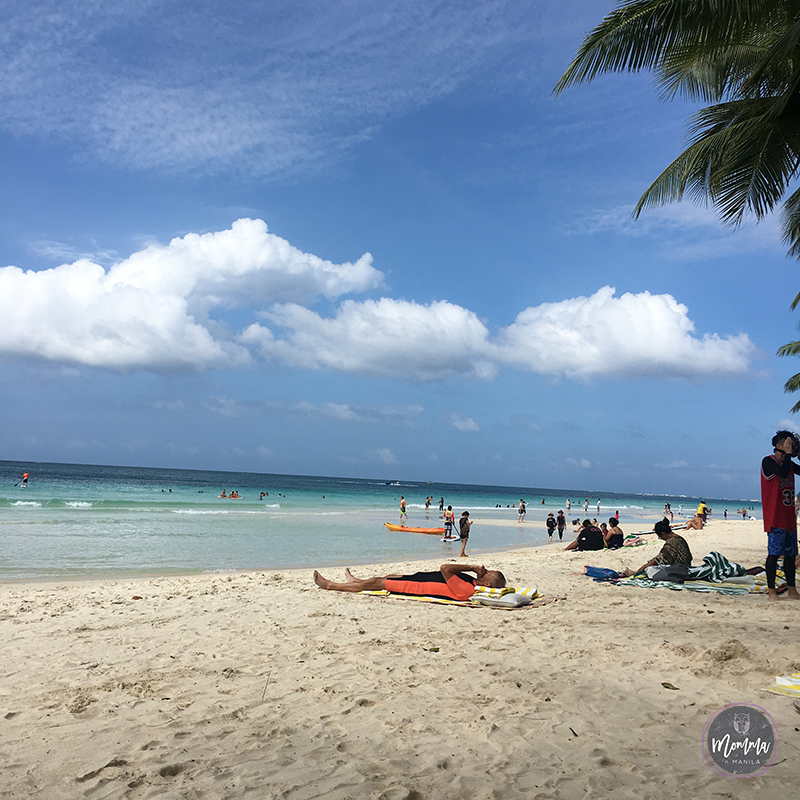 One of our favorite places to visit, here in the Philippines, for that beautiful beach fix, is Boracay. 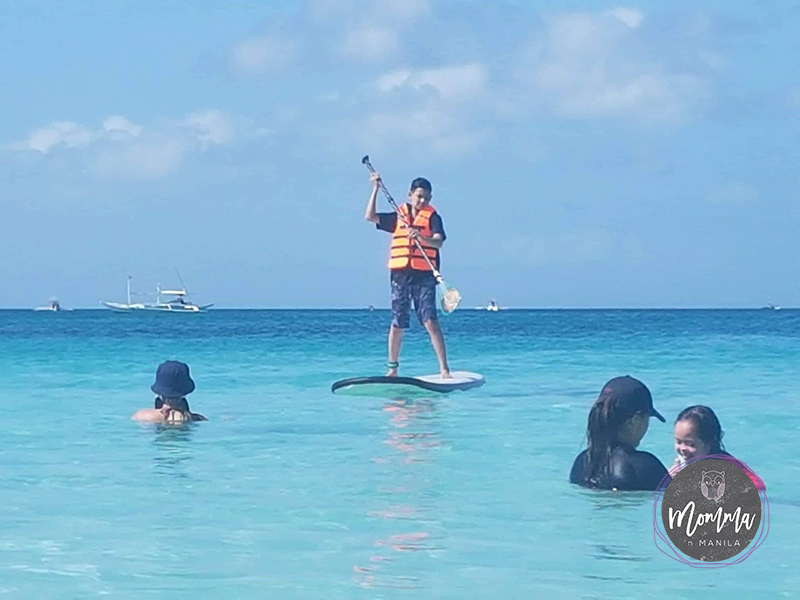 After the recent closure of Boracay (I never even thought something like this could even be done.) I have to admit, I was a bit skeptical as to we would expect when we visited last December with the family. 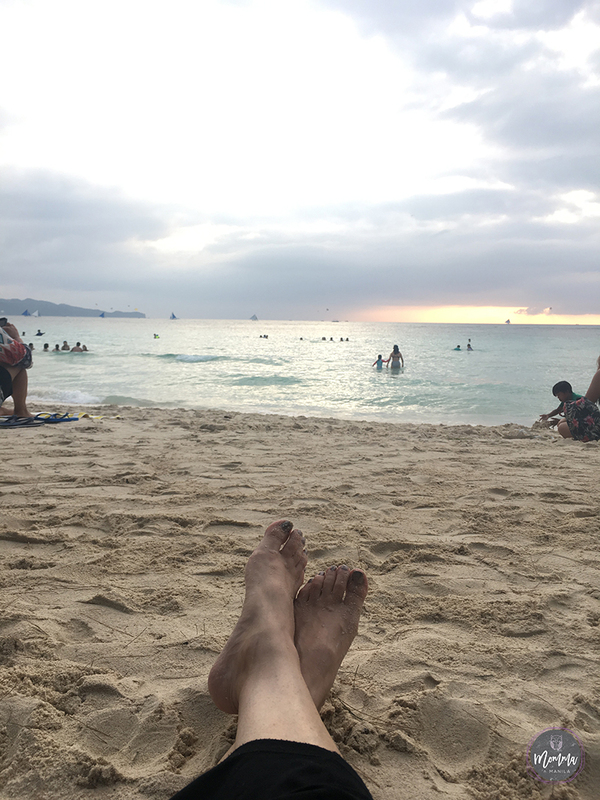 But our quick 2 night visit with Coast Boracay solidified our plan of visiting Bora again, very, very, soon. I am always so grateful for the moments I have with my family, and the moments that my kids get to spend with their extended family. 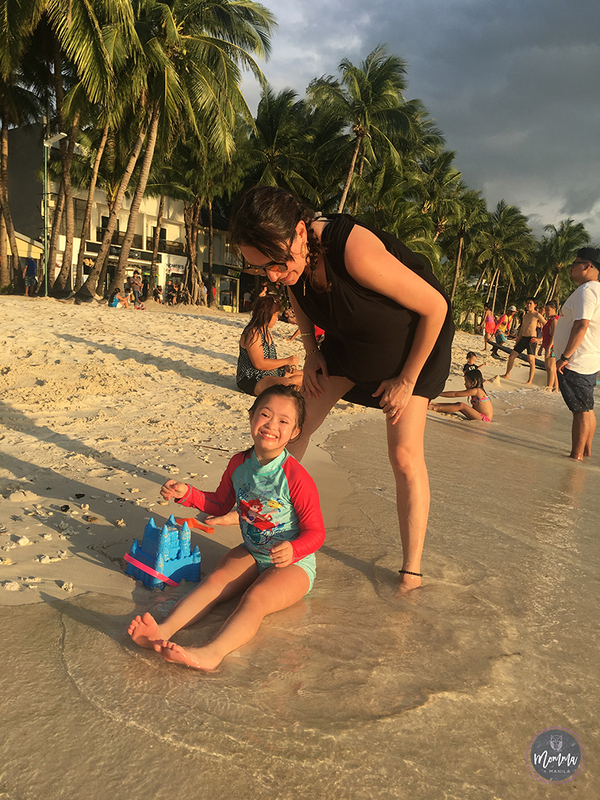 We are grateful for all of the small moments in between as well, but these memories of the beach, are moments that I know my kids will remember forever. 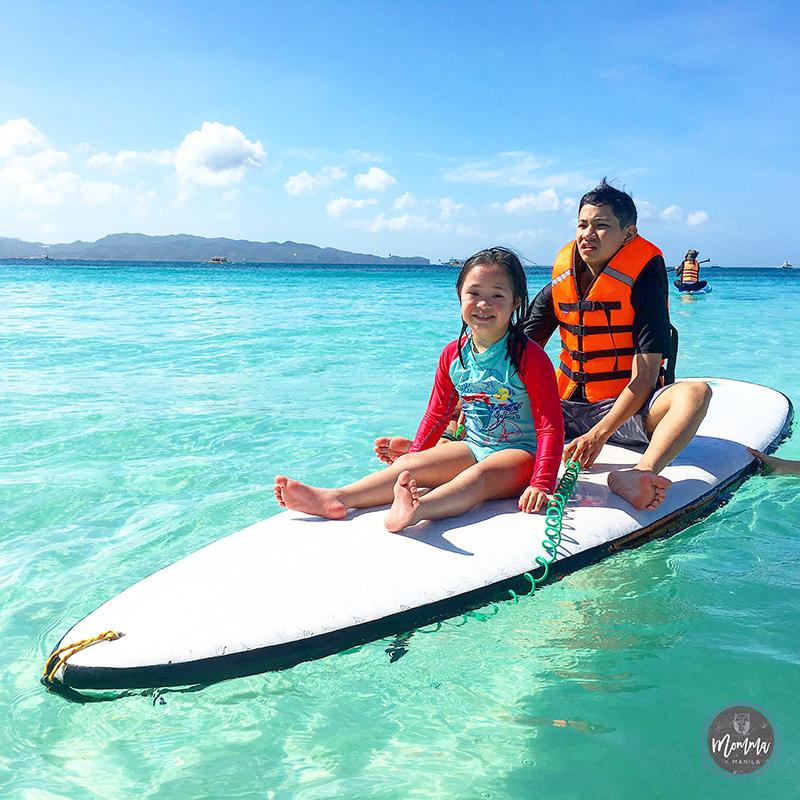 We are blessed with a family who is so generous and loving that we enjoy getaways that include sun, surf, and sand. 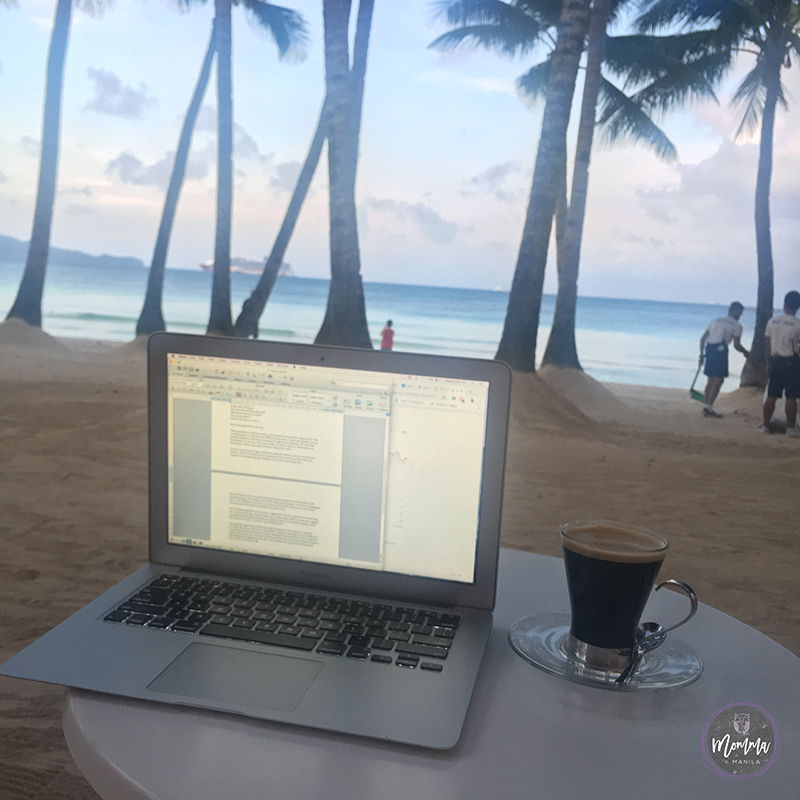 Ok, before I share about the wonderful accommodations that we enjoyed at Coast Boracay, I want to share a little bit about my observations of one of the most beautiful beaches in the world. 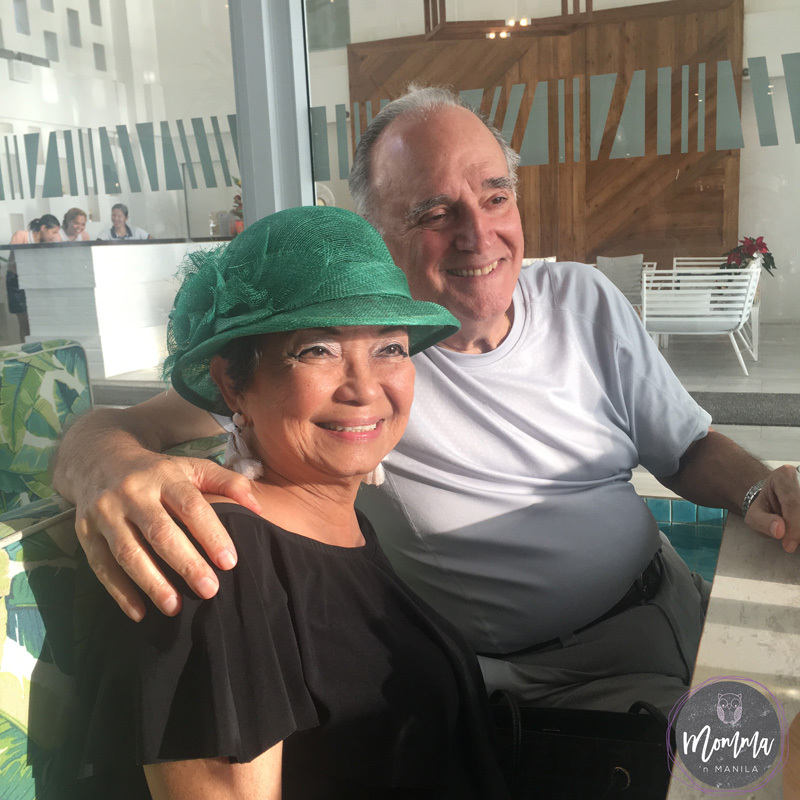 We have been visiting Boracay for years. 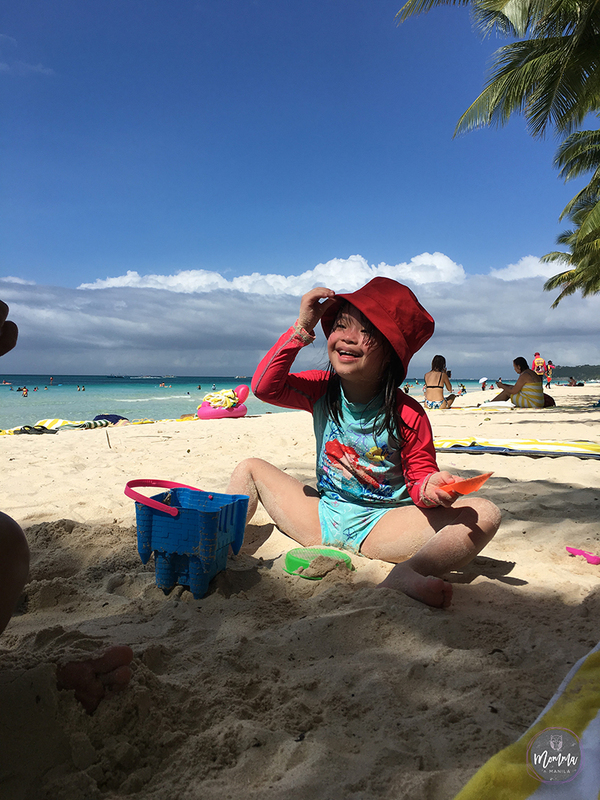 In fact, the first time Nino and visited was more than 21 years ago, and in the past decade, we have gone back and forth to this white sand beach almost a dozen times. This kid is so easy to travel with. AS IN. But, because it’s just a hop, skip, and a jump to get to our very own paradise, all the time we spend in the air is about as much as it takes to climb to the right height, and then to descend because it’s time to land. So blessed by these two. Once we landed in Caticlan, and took the boat to cross, I did see quite a bit of construction on the roads. While the roads were all made wider, and the sidewalks were expanded for walking, nothing was quite finished. Everything was still very much in a state of flux, and because of the rainy weather, there was mud everywhere. The car could only bring us up to a certain point on the road so we had a short two minute walk to get to the lobby of Coast which felt like it was just an extension of the beautiful beach we have all come to love. One thing I did notice RIGHT AWAY when we were actually walking on the beach to get to the hotel was the LACK of vendors, beach chairs, and tables that used to line our walk on the white sand. Nothing but the surf, sand, and the sea. Happiness. They were completely gone. The beach looked so much bigger, and so much cleaner. I wouldn’t say that it was like it was years ago when Nino and I first visited this beautiful beach paradise, but it was definitely cleaned up and quieter. 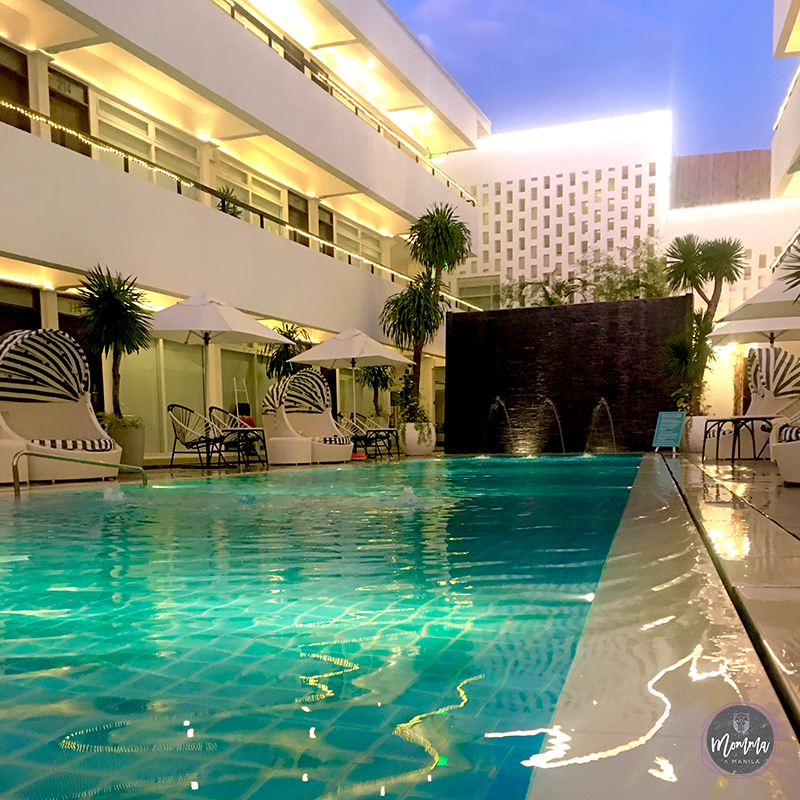 Factor in this beauty revived, to the attention we always receive when we visit Raintree Properties, and you’ll surely understand why we enjoy staying with them when we are a big group. Plus, they just make it so much easier on me as a momma. How excited was I, when I found out that I could enjoy this tasty bowl of champorado in Providore? THEY KNOW PERSONALIZED SERVICE. 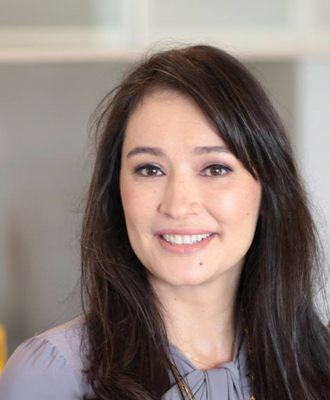 Their staff anticipate what you will need and they have always had it ready for their guests, and as a momma of four, I have grown quite accustomed to their treatment. Of course, I forgot our water bottles at home. Good thing Coast had these readily available for us. From welcome messages in the rooms, (and on our pancakes), to well thought out menus in their restaurants for sharing, and having mindful items in the room like beach bags (bc I always forget mine) and reusable water bottles, it’s as if the staff of Coast already knew what I would have on hand, and what I would need, because I forgot it at home. Even the beach toys for this girl were always stacked up ready for her beside our beach towels. 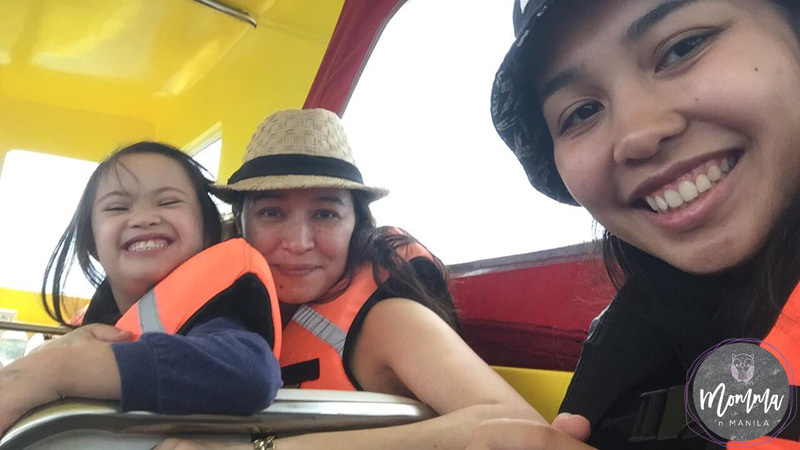 But, I won’t go on and on about this super short stay with the fam bam (minus Nino because he had to work) before our Christmas holiday without first naming 5 of the things that I loved about our trip. 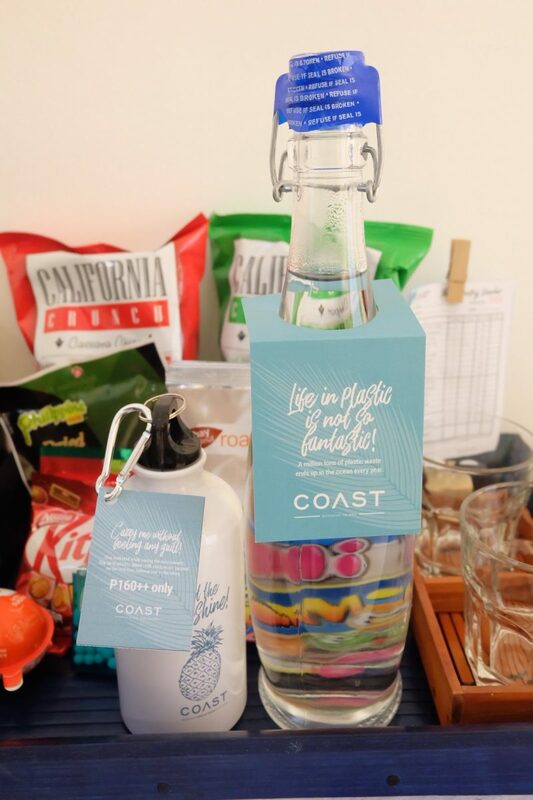 From personalized pancakes as a welcome breakfast, to beach bags laid out on your bed for you to use during your stay, Coast knows how to make their guests feel at home. 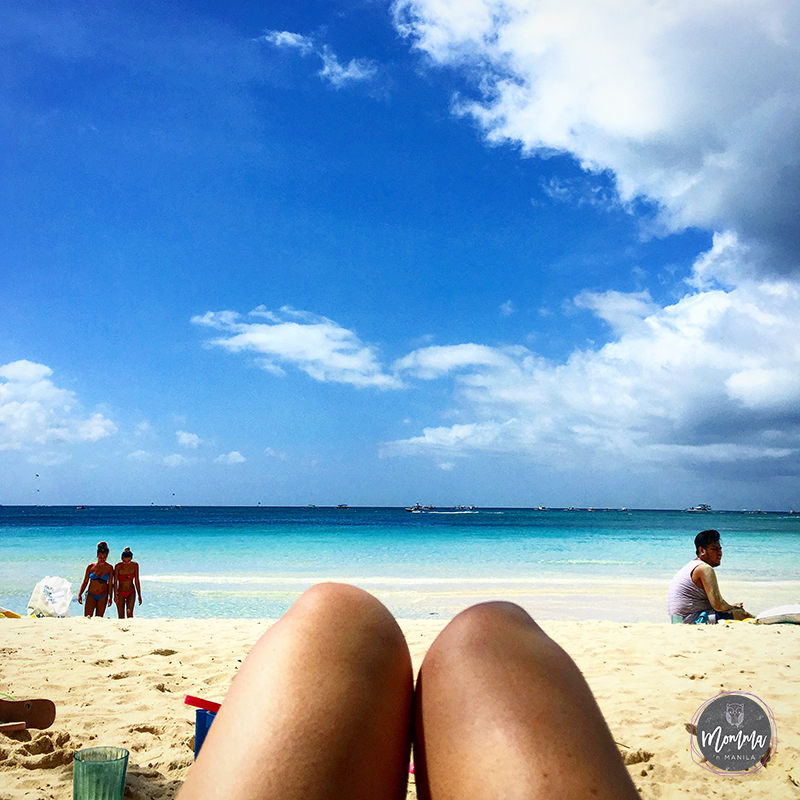 At one point during our stay, one of the waiters overheard Gelli tell her Mama that she wanted a hot dog, and before I knew it there was a plate of hot dogs in front of her despite there not being any hot dogs on the breakfast buffet. I was not only surprised, but more than amused that he paid such close attention to my little one who can be a little kulit. Now, I don’t know if you are familiar with the saying, “Netflix and Chill,” and what it means. BUT, for this 45 year old momma of four, it means that I can relax while the kids watch their movies and nosh on popcorn that is happily provided for our movie viewing pleasure. 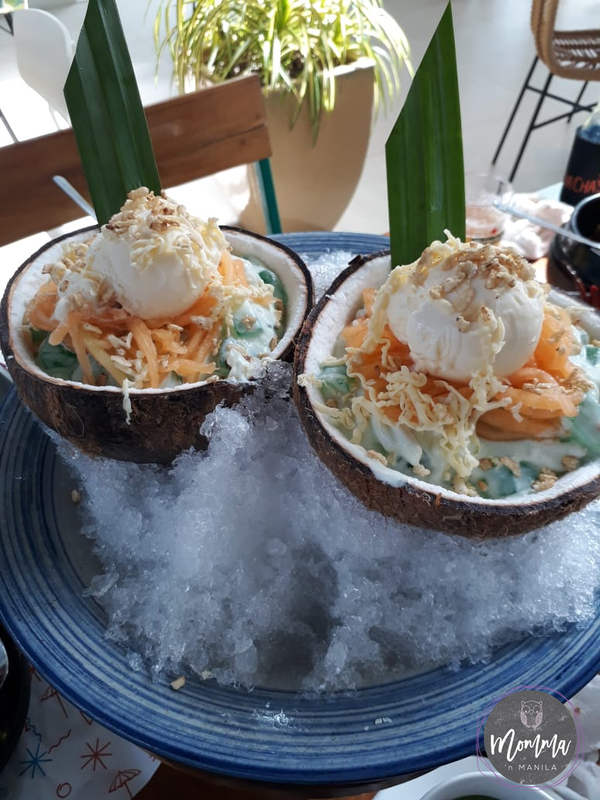 Details like this even include enjoying soft serve ice cream in different flavors all through the day which is perfect when you are basking in the sun on the soft white sands in front of the hotel. Gone are the days where just the basics are offered in hotels, with discerning travelers who post everything on Instagram. Coast provides Smart TVs with access to Netflix and YouTube, with luxurious bedding and enveloping fluffy cloud like towels. 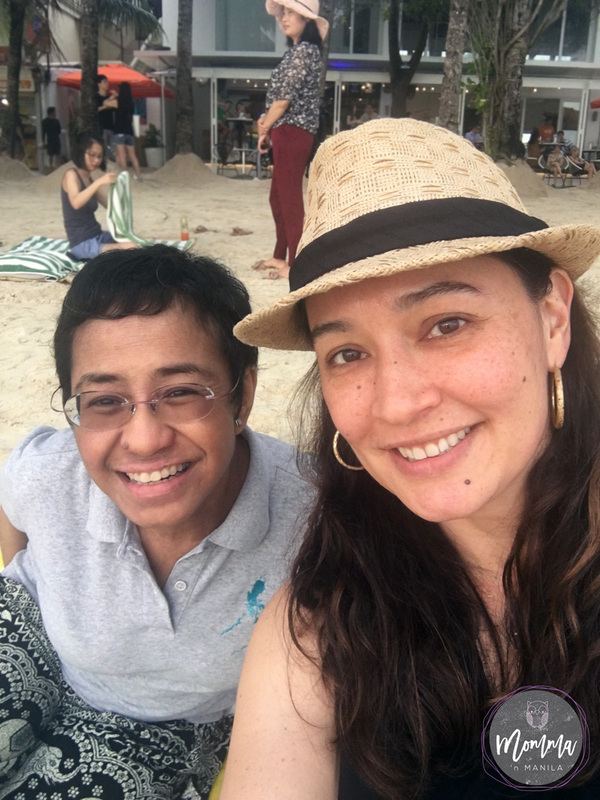 Lounging by the side of the pool, while Gelli plays in the kiddie area was a blessing, because if I didn’t have a yaya to watch her at that time, I know we could just pop a squat at this spot. The spa services that are offered within the hotel are not only reasonable in price, but professional. I loved this hot stone massage, AND the fact that the massage room was just a few steps from my room. Because Coast is conveniently located in Station 2, we were just a few minutes walk from the night life. Truth is, I actually enjoyed the bar right in the hotel, that I didn’t even leave for the two nights that we were there. It was nice to be able to sit and enjoy my coffee while everyone was still sleeping. It’s not often that I get a view like this.. When we visit a hotel, we look for a few things. 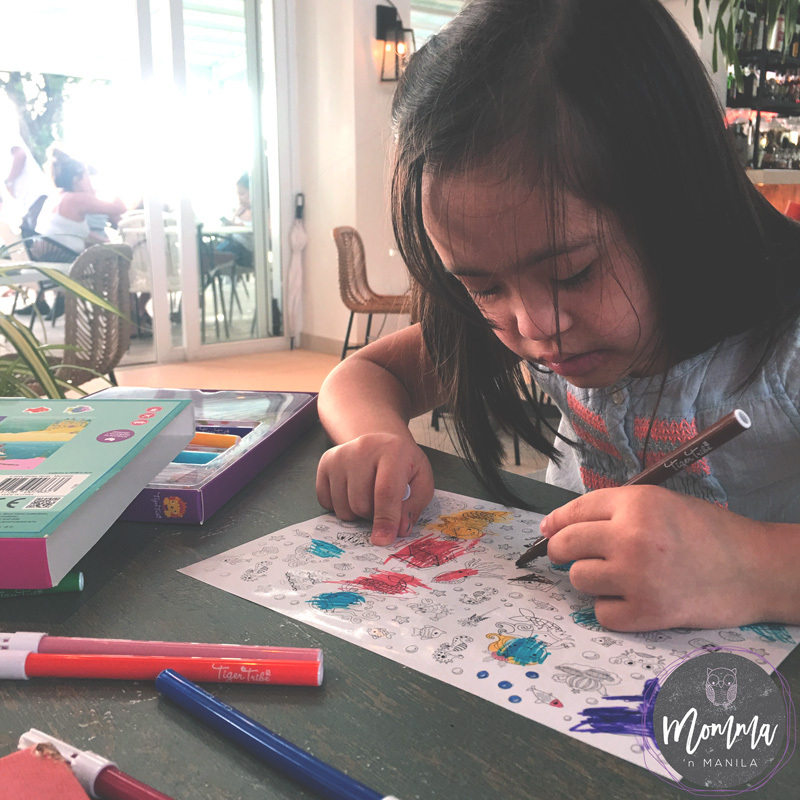 From arranging our airport transfers, to being child friendly, and having patience for all of Gelli’s antics, to calling each of us by NAME (we were so many in our group, let alone that the hotel was FULL!) and really paying attention!! Whenever we travel, Gelli always gets new Tiger Tribe sets. 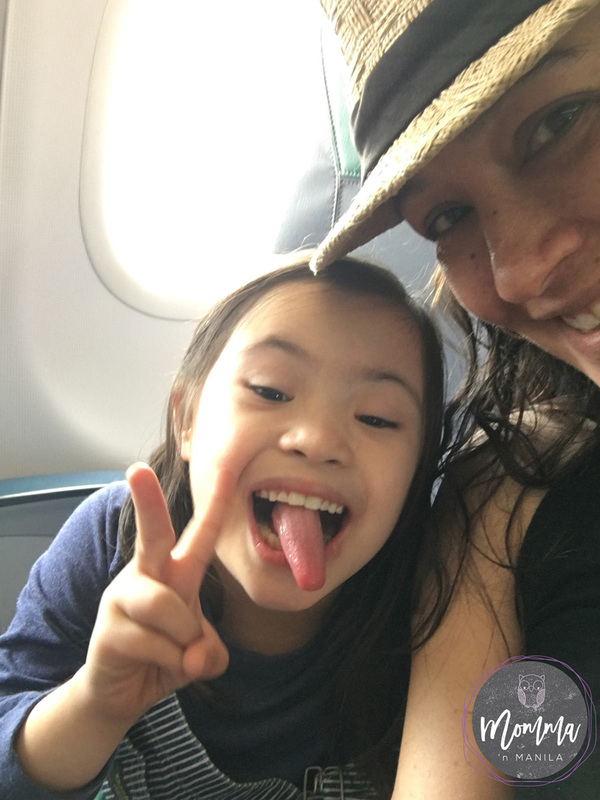 These are perfect for keeping her occupied on the plane, in the restaurants and even in the room! 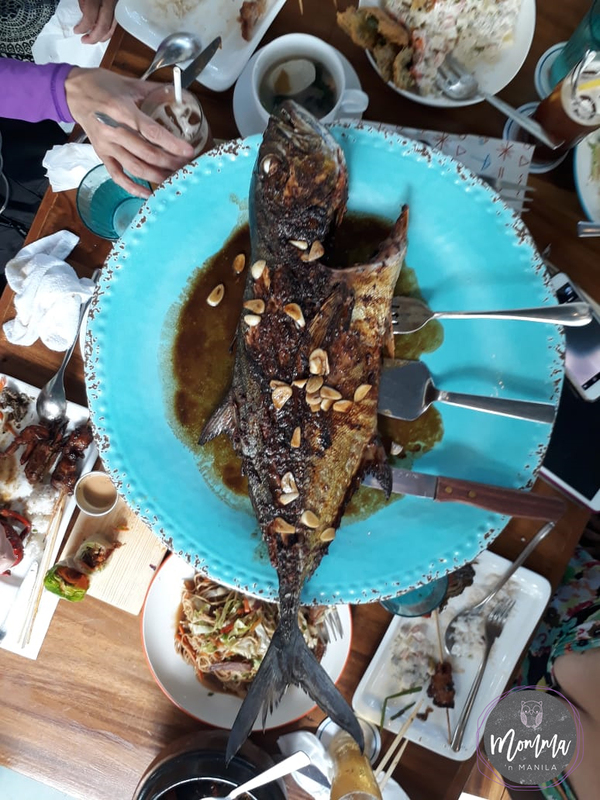 I was so touched when one of the waiter shared that he also had a daughter with exceptionalities and he was super fond of Gelli. So much so, that when Gelli and I were having a discussion about hot dogs (she loves ’em despite having them only a few times at birthday parties) he came out of the kitchen with a plate full of hot dogs for the little one to enjoy with breakfast. I didn’t even realize he heard Gelli’s request! When we are with the whole family (my parents included) we usually stay very close to the hotel. It’s kinda hard for Mom and Dad to walk very far, so staying in the hotel to eat all of our meals is a given. You would think that we would get tired of eating every meal in the same place? 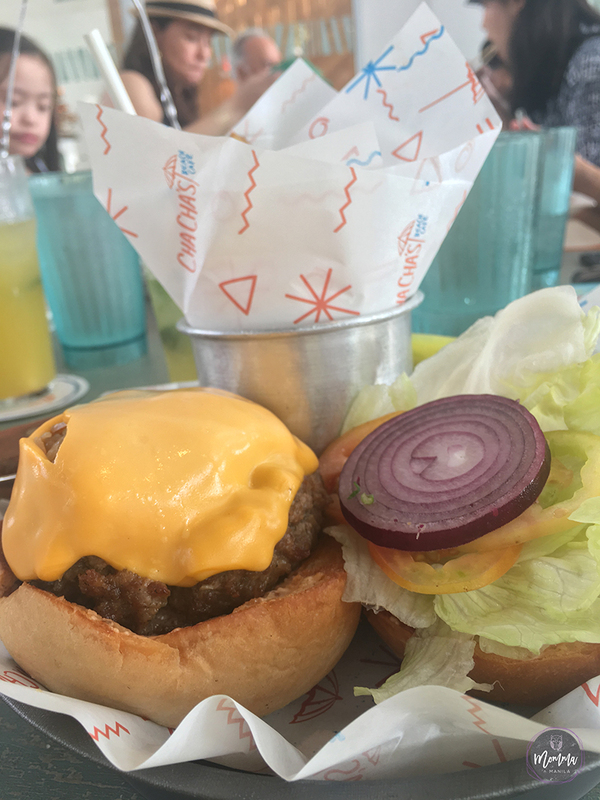 Burgers were great. My burger loving son enjoyed them. TWICE. NOT when we are eating in Cha Cha’s Cafe and Grill! Holy SMOKES. 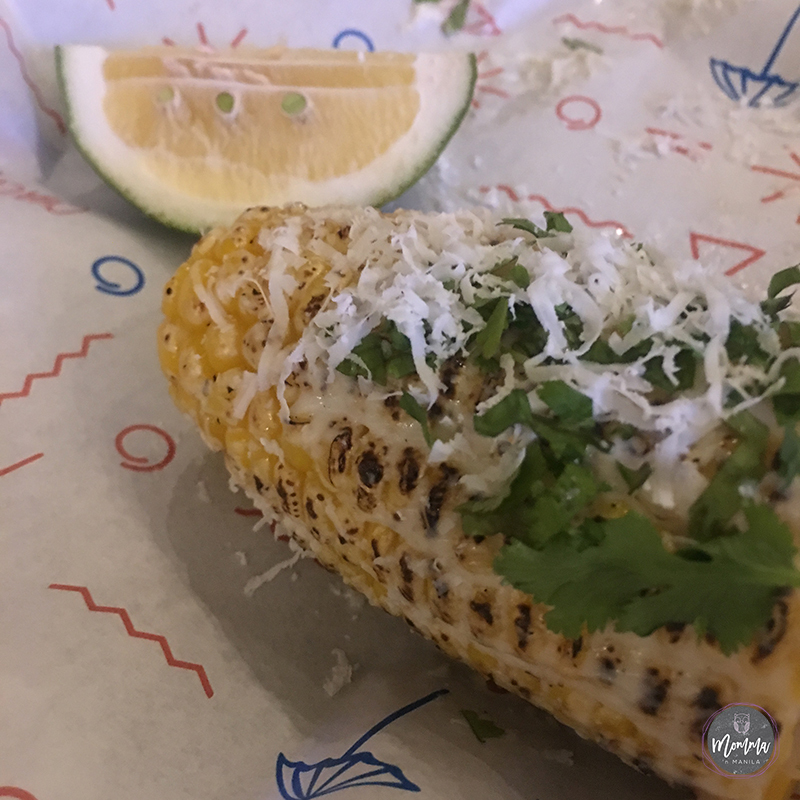 My kids and I were slowly working our way through trying all the different items on the menu. The menu was an awesome fusion of all the flavors that I love. GUAC was all mine. Ok. I shared a little. Just a little. 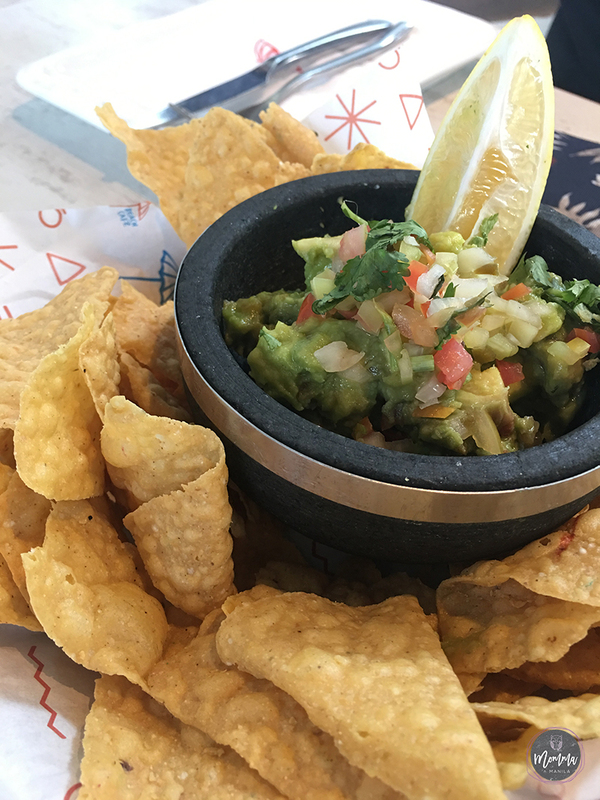 With both Mexican dishes like my favorite Guacamole, to Pinoy Pulutan that go perfectly with the summer cocktails from the bar. Mom’s BBQ platter at lunch when we arrived was enough to share with two other people. 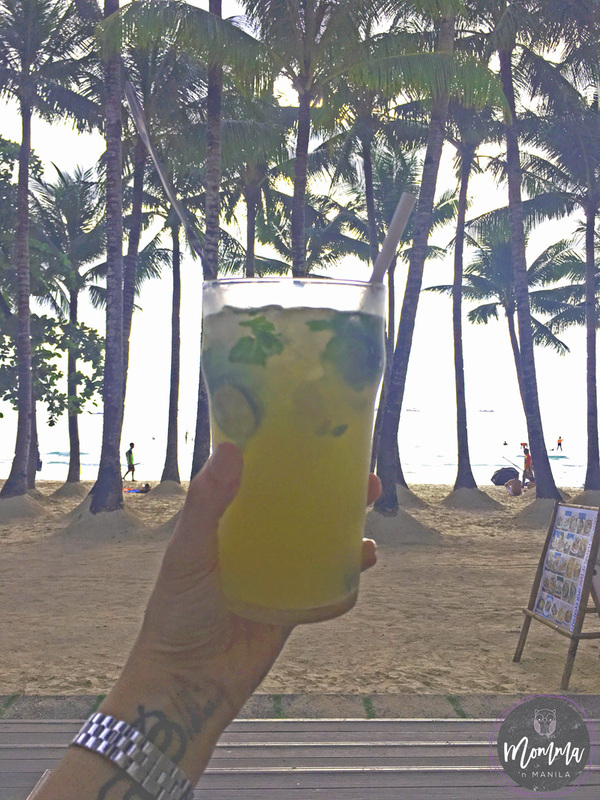 You know, when you visit Boracay, most of the restaurants that are found within the hotel, usually just cater to hotel guests. It’s more of a matter of convenience to eat there, especially when you have little ones who need to stay close to the room. 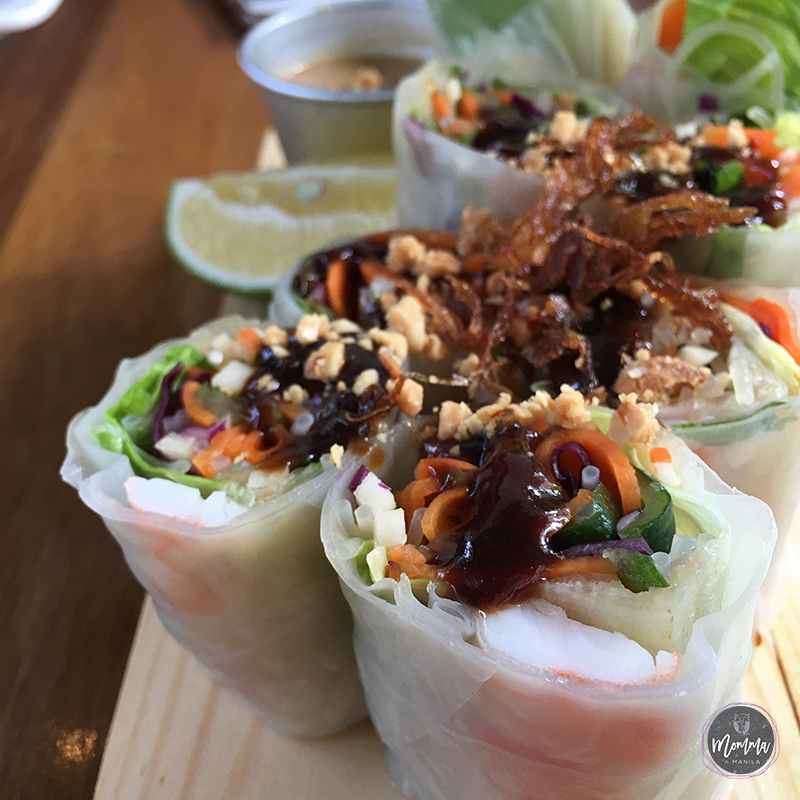 Vietnamese Spring Rolls were super refreshing! Perfect for the beach! But this wasn’t the case with Cha Cha’s. 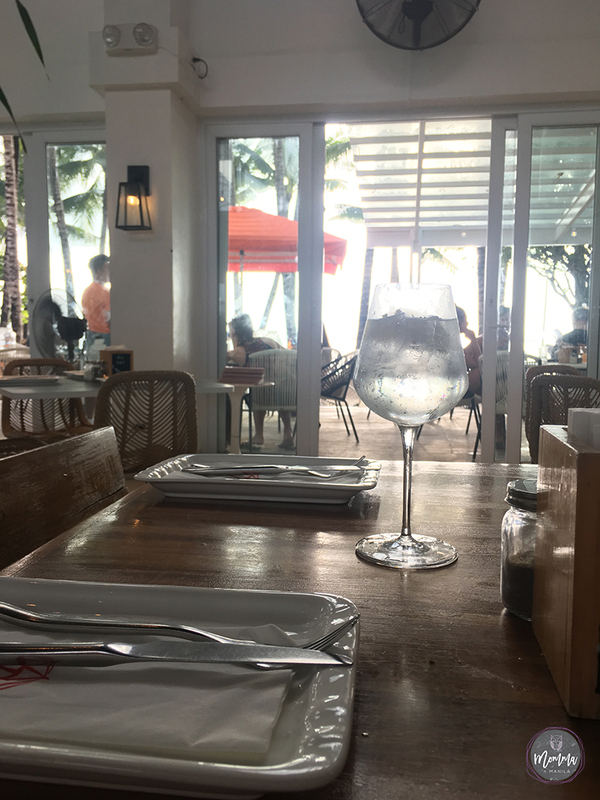 Since I sat in my spot near the front of the bar facing the beach, I took stock of the steady stream of diners coming in from the beach who were NOT hotel guests. These diners came for brunch, lunch, merienda, sunset cocktails, and well into the night for drinks and social pleasantries. 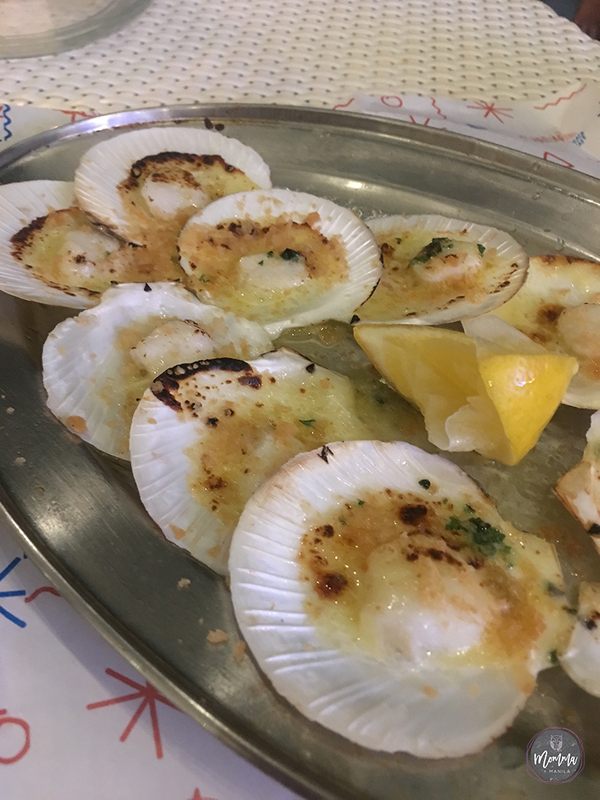 Scallops for a late night snack after our massages were yummy. 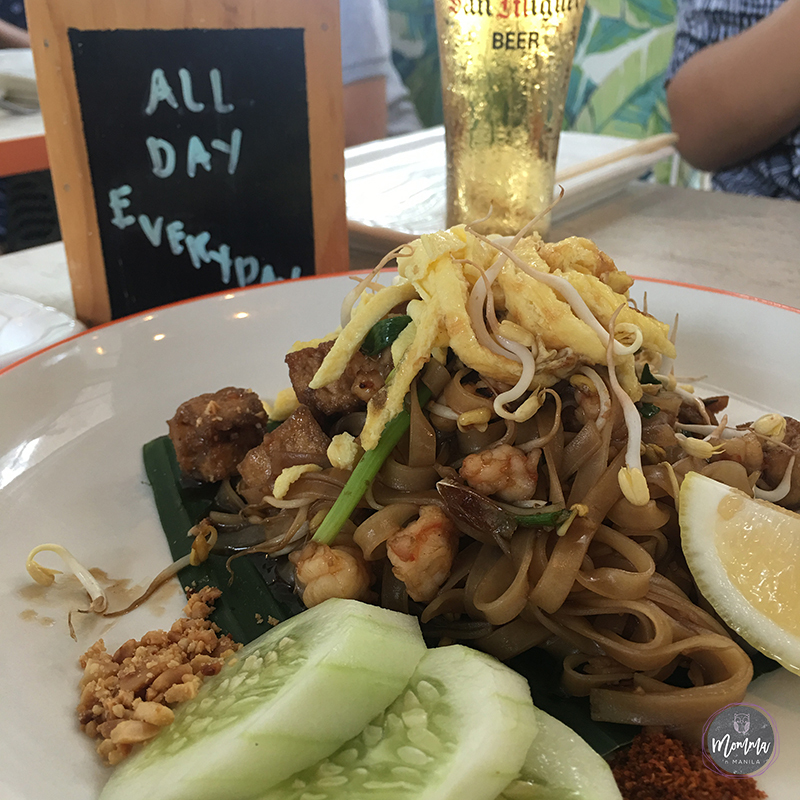 But all of these dishes were like the prelude to an awesome SEAFOOD lunch that we enjoyed which was lovingly prepared by the Executive Chef. 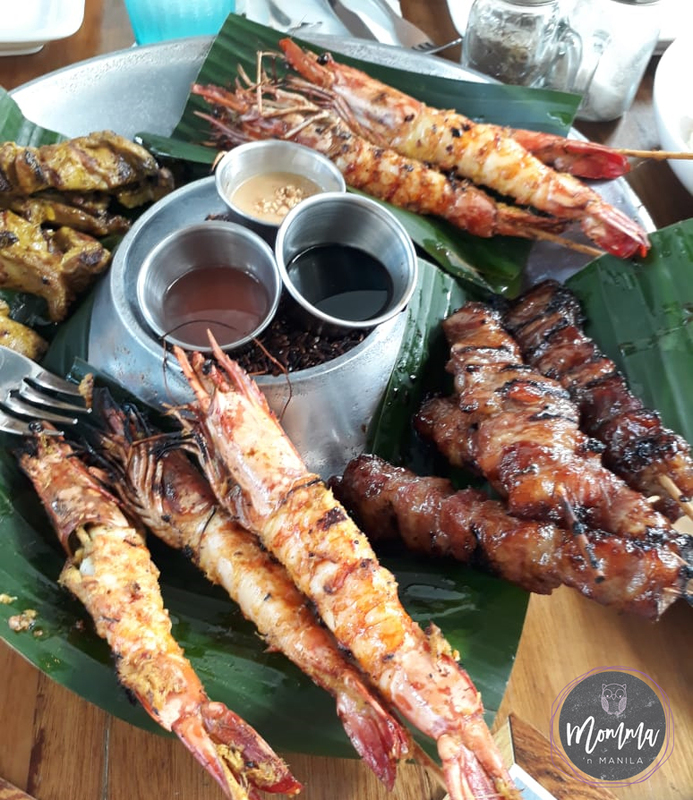 This BBQ platter was only the beginning of a huge lunch spread that we were treated to during our stay. 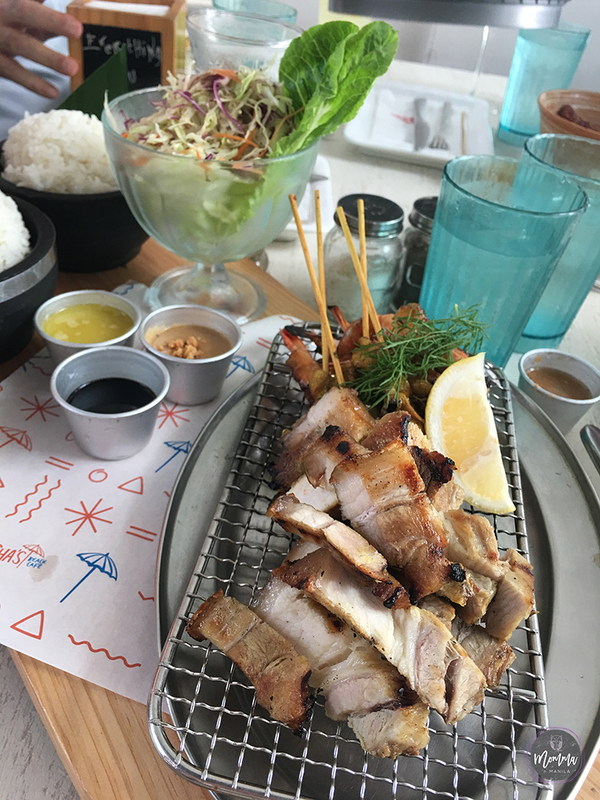 There aren’t any other restos like this one, and I could see non guests coming for the food and the ambiance. You can request special meals for any celebration that you might have during your stay. Especially, if you want a fresh catch!!! The vibe is young and invigorating. 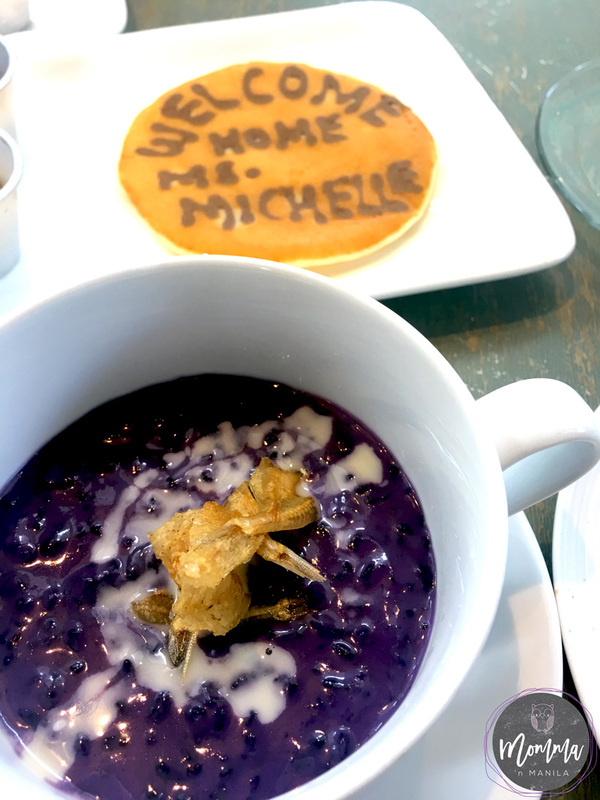 From clever takes on Pinoy favorites like Halo Halo and Brazo de Mercedes, this factor in my Coast Stay just kept me coming back for more. 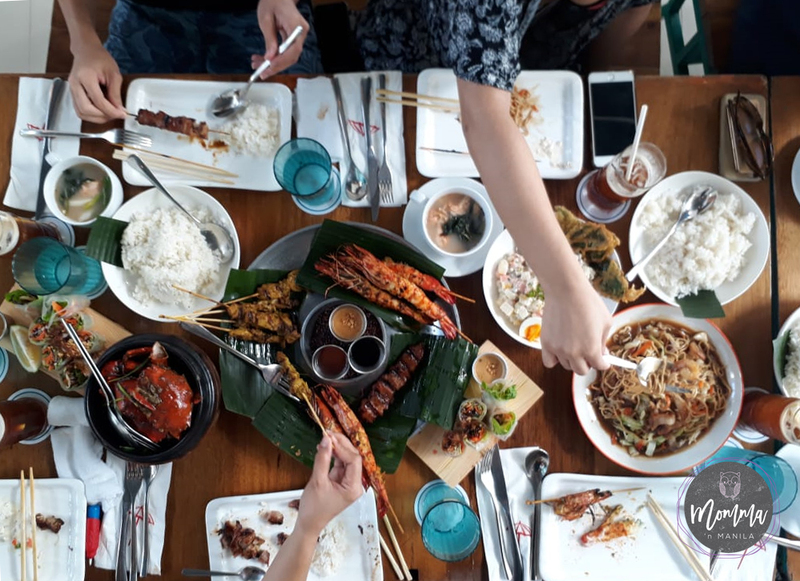 Garlic Crab, Grilled Praws, Pancit, and Grilled Fish are just a few of the dishes we stuffed ourselves with during our stay. 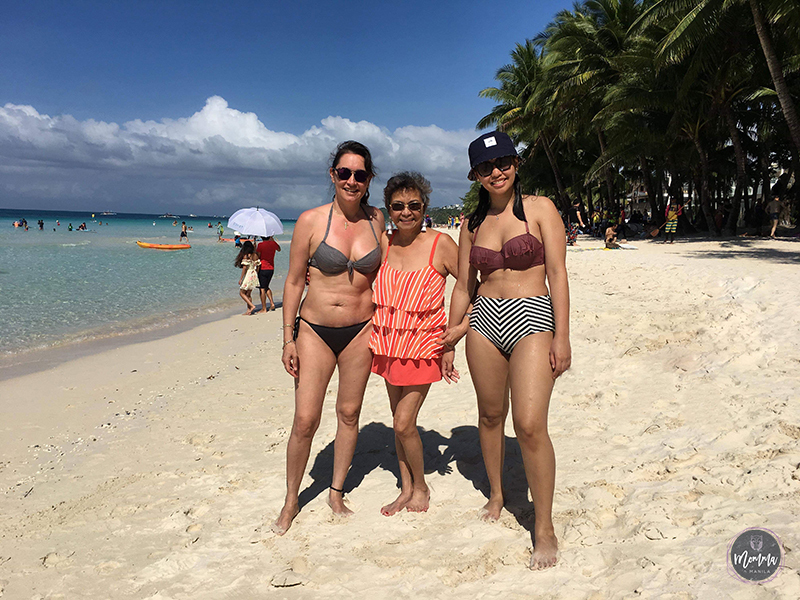 I wasn’t “Boracay Bikini Beach ready” when we landed, and by the time we left, with all that fantastic food and the sumptuous SEAFOOD lunch, I certainly wasn’t BIKINI beach ready when we left, either. 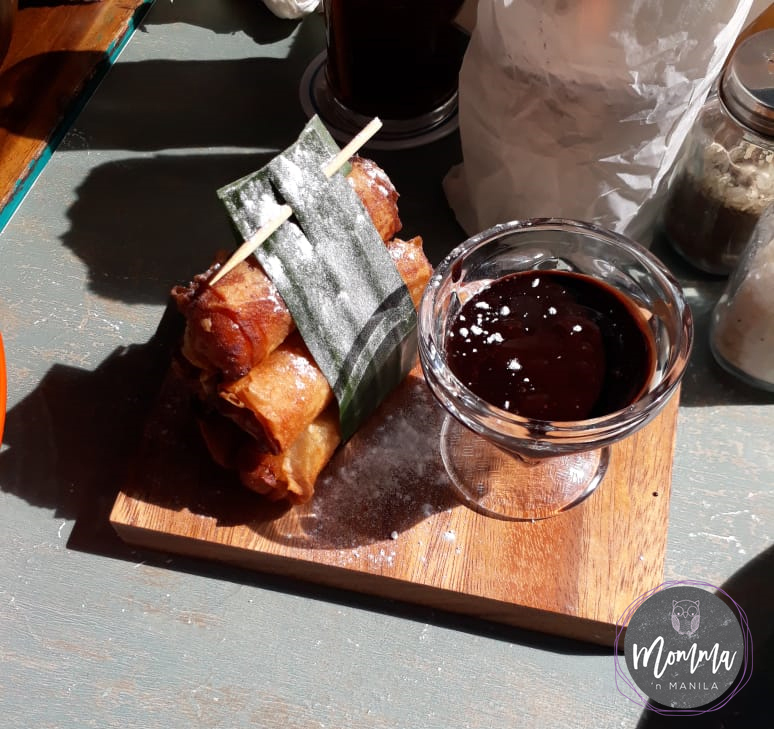 Turon and Tablea. The BEST. Coast was fantastic to visit with the kids and the extended family. We were welcomed like family, and felt completely at home. 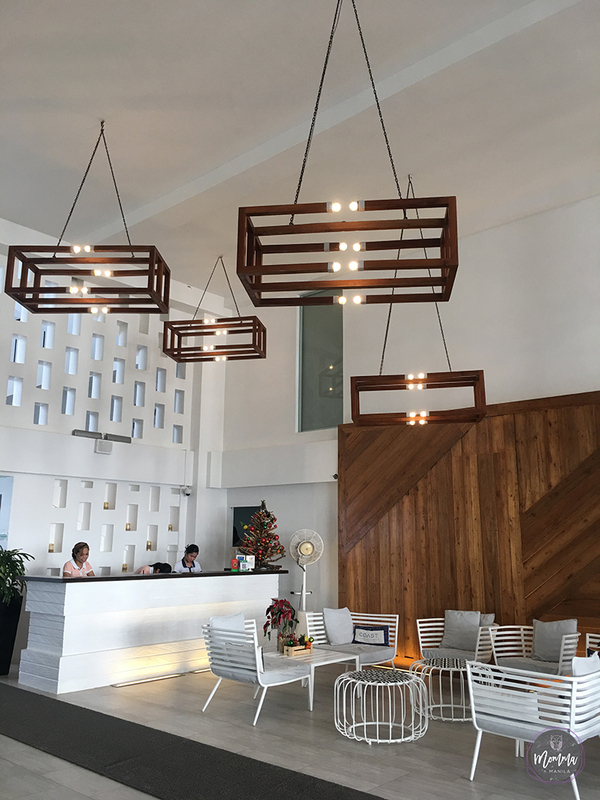 Overall, I noticed that while this boutique hotel had many families with kids of different ages, visiting, it definitely had a younger vibe. Thank you Photoshop for making sure that the lunch we stuffed ourselves with was not evident in this photo. Hahahahaha. The music was a bit younger and a little louder. I would have enjoyed it even more if Nino and I were visiting COAST for a couples’ getaway. I only say this, because my almost 80 year old parents said that the music was too loud for them.